For over 20 years, Weiler Labeling Systems (WLS) has been designing, manufacturing, integrating and supporting the most sophisticated and advanced pressure sensitive label applicator solution in the marketplace. RL-Series Rotary label applicator for labeling products in a vertical position and can include a variety of options such as product orienting and automated vision inspection and rejection. 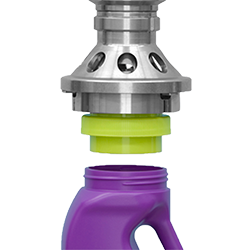 This labeler can also be built for wash down applications. 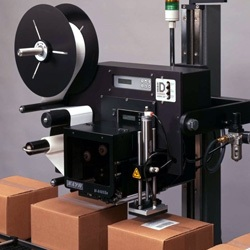 VR-Series In-Line Labeler for labeling cylindrical products in a vertical position and can include a variety of options such as product orienting, a vertical roller trunnion with a wrap belt or vacuum drum label applicator, automated label reconciliation to reject and save labels prior to application to the product, and automated vision inspection and rejection. HR-Series In-Line Labeler for labeling cylindrical products in a horizontal position and can include a variety of options such as product orienting, vacuum drum application for very high-speed applications, and automated vision inspection and rejection. Label coding and application in an indexing or continuous mode using ink jet, thermal transfer or laser printers. Label inspection for correctness and properly printed code. Removal of rejected label prior to product application (when required). 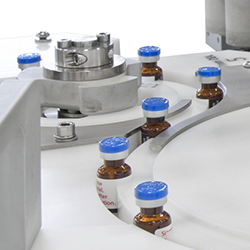 High-speed serialization coding capabilities for pharmaceutical and medical applications. Capability to feed and apply side or top leaflets to the product (SLP-Series and TLP-Series). Capability to code and inspect labels, including serialized codes, on a stand-alone platform (SPS-Series). For more information about WLS’ labeling solutions and services, please call us at 856-273-3377or email us at sales@weilerls.com. Weiler offers a variety of label heads. 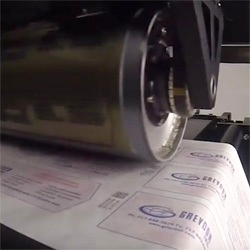 Weiler offers label coders and print stands. Weiler offers a variety of accessories for integration into the pressure sensitive platforms.